A postcard sent to the Kansas Historical Society in 1908. 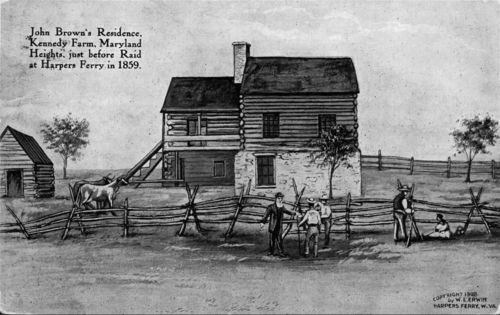 It is artwork of John Brown's residence on Kennedy Farm, in Maryland Heights, West Virginia. This view of the farm is described as "just before Brown's raid on Harpers Ferry in 1859."